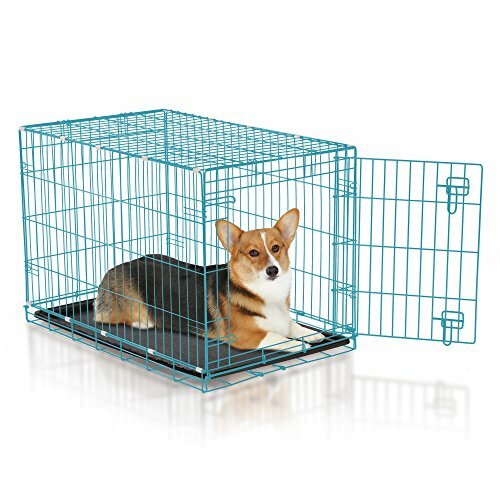 View More In Crates & Kennels. 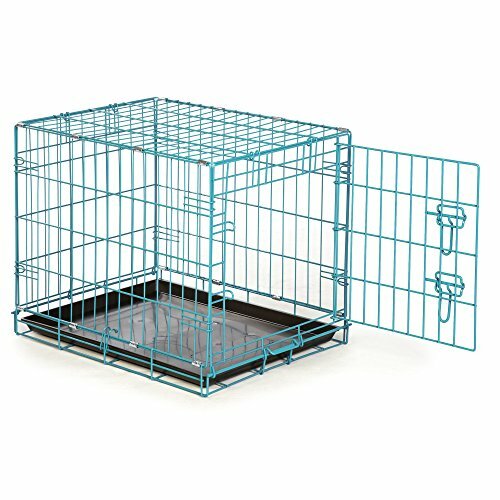 A bargain-priced dog crate that's easy to use, clean, move, and store. 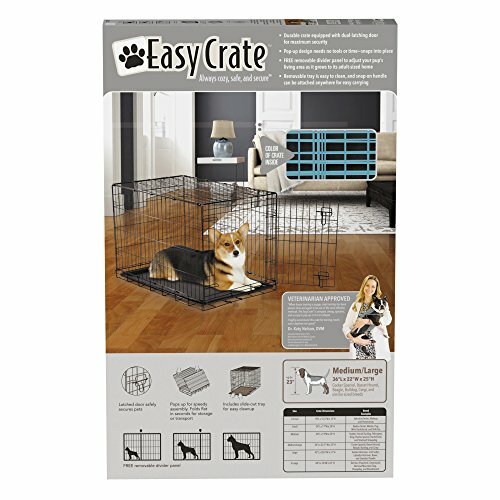 ProSelect Easy Crates are wire dog crates with dual latching doors on most sizes. Lightweight, folding crates have a top handle for easy transport. 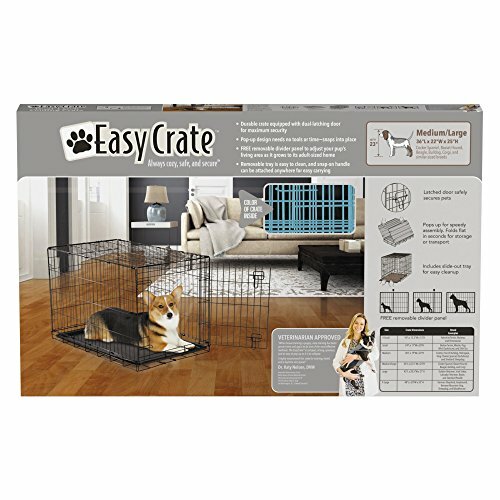 ProSelect Easy Crates are easy to use and easy on the wallet. 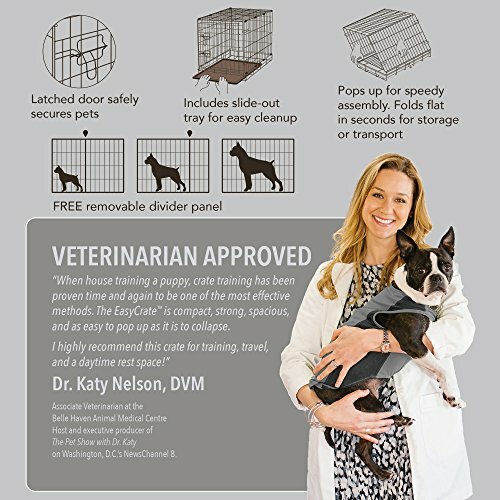 Each wire crate comes complete with a dual latching door to safely secure pets (except X-Small 18"L) Folds for effortless storage or travel Includes a slide-out, easy-clean floor tray and a removable divider panel Easy Crates are available in a range of sizes from extra small to extra large. Assembly instructions included. 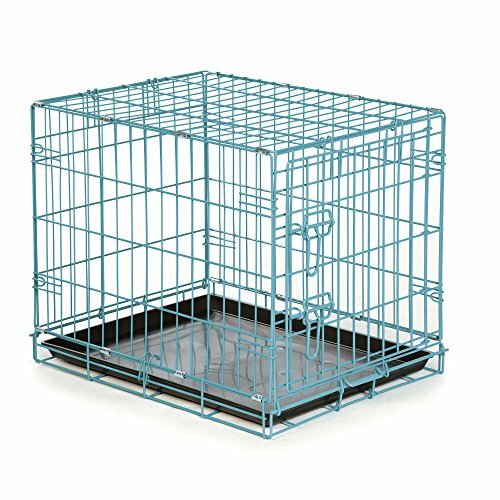 Material: Lightweight wire crate Size: X-Small Crate measures 18"L x 12 1/2"W x 15"H (includes only one latch) Small Crate measures 24"L x 17"W x 20"H Medium Crate measures 30"L x 19"W x 22"H Medium/Large Crate measures 36"L x 22 1/2"W x 25"H Large Crate measures 42"L x 28"W x 31"H X-Large Crate measures 48"L x 30"W x 33"H Care: Wipe clean with a damp cloth Note: All sizes come with a dual latching door except the X-small. 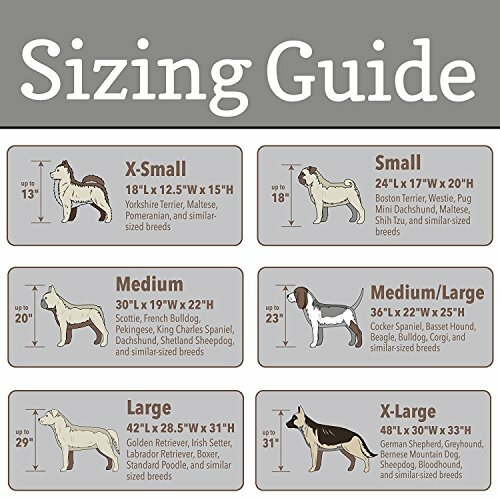 Sizing Guide: Measure dog’s height to the shoulders, and length from chest to rear of leg, then add 4"-6" to each measurement. See below for estimations by breed. For approximation only. X-Small: Cat, Yorkshire Terrier, Chihuahua, Maltese, Italian Greyhound Small: Beagle, Boston Terrier, Cocker Spaniel, Pug Medium: Basset Hound, Bulldog, Keeshond, Norwegian Elkhound, Dalmatian Medium-Large: Boxer, Standard Poodle, Golden Retriever, Labrador Large: Afghan, Doberman, German Shepherd, Irish Setter, Rottweiler, Collie X-Large: Great Dane, Great Pyrenees, Greyhound, Mastiff, Saint Bernard.